In this gorgeously written middle grade debut reminiscent of the work of David Almond and The Thickety, a young girl embarks on an unforgettable journey through a Southern-infused fairy-tale forest filled with dark and wondrous magic. 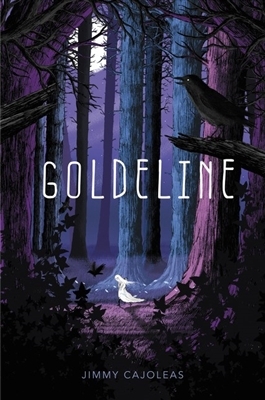 In the wild, free woods of the Hinterlands, where magic is as real as stories are, there lives a girl named Goldeline. Goldeline has hair as white as summer snow and gold-flecked eyes, and she travels from camp to camp with Gruff and his bandits, getting by on the things they steal from carriages that pass through the woods. JIMMY CAJOLEAS grew up in Jackson, MS. He earned his MFA from the University of Mississippi and now lives in Brooklyn, NY. This is his first novel.